A city as frenetic as Beirut calls for all your energy. And for that, you need a nest of your own, a place to recharge – some good accommodation, basically. In Beirut, hotels come in all shapes and sizes, and span the price range from the blush-inducingly opulent (one pool not enough? How about four?) to the eyebrow-raisingly affordable. 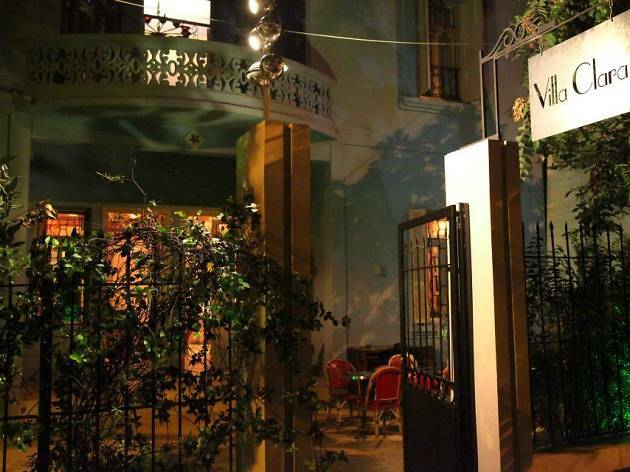 While it remains the case that those with full wallets are better catered for than those on a shoestring, the choice of backpacker-friendly accommodation has improved a great deal in recent years, and visitors can increasingly opt for good beds at bargain prices – all the better to splurge on cocktails in Mar Mikhael. Here, then, are our 15 favourite hotels, hostels and apartments in the capital, from cut-rate to classy. And it's good night from us. Built on 25,000 square meters of pure nostalgia, the newly and completely renovated Kempinski Summerland Hotel & Resort is ready to relaunch and bring back cherished memories while focusing on a present standard of personalized luxury that is second to none. If it’s good enough for Salma Hayek (and apparently Mr Olympia 1983), then it’s good enough for us. 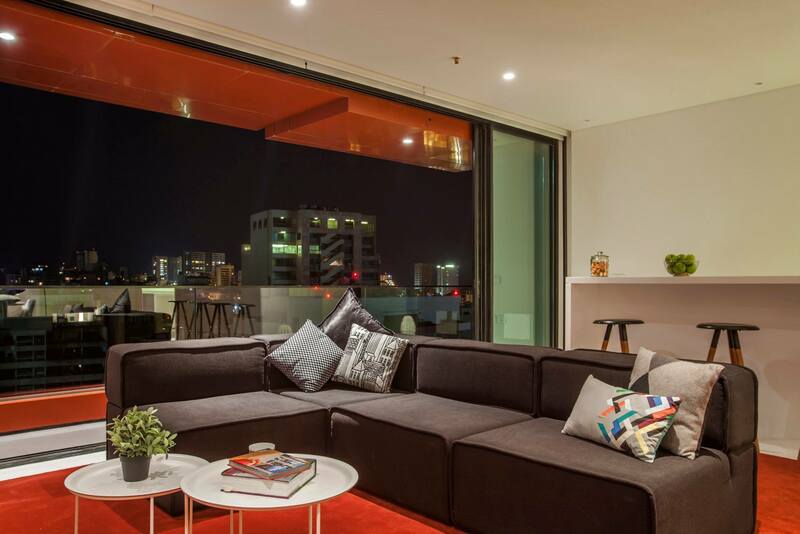 Sitting on top of Paul and Urbanista, with a range of outlets around it, 1866 Court & Suites is a new baby on the block, similar in concept to Three O Nine. 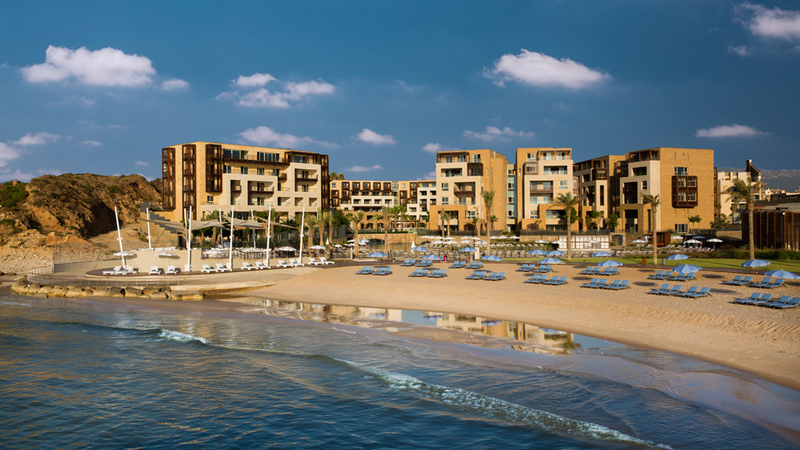 Designed by architect Bernard Khoury (of B018 fame), the hotel is every bit as cool and visually striking as expected. 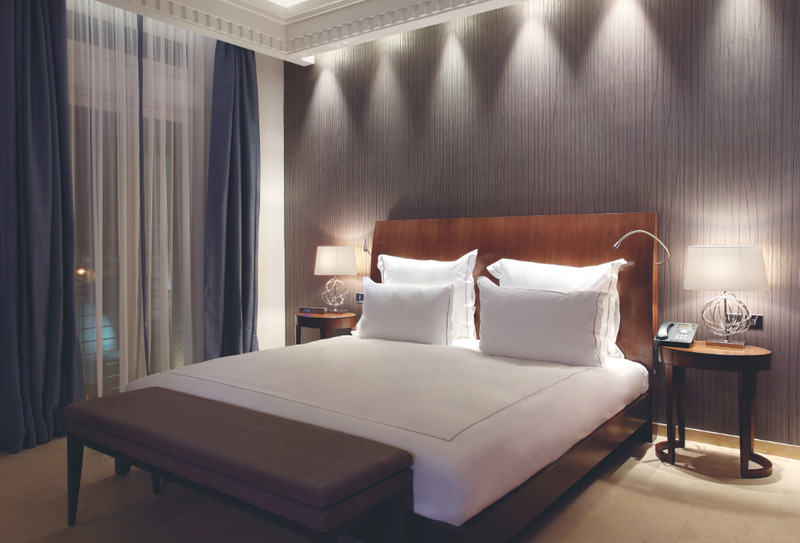 Rooms are spacious, light and airy, offering generous views of the city and seascape around them. Small private kitchens are provided, making it perfect for the independently minded who still want the comfort of a hotel. 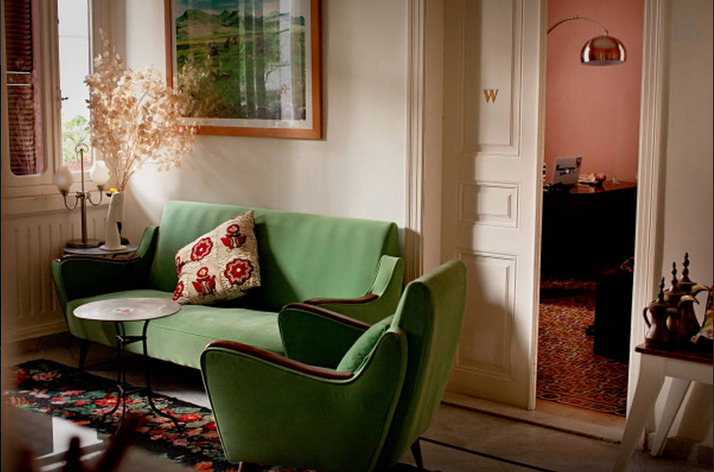 Couched in the comforts of boutique plushness and nestled in the heart of Achrafieh, the Albergo is the place to go if you want your luxury with a strong dose of character. Parakeets squawk at you as you pass through the foliage to the foyer, where you’re greeted with top-rate service. With its velvet-lined couches and walls studded with curious ephemera, the decor is as sumptuous as a 19th-century academic’s study. 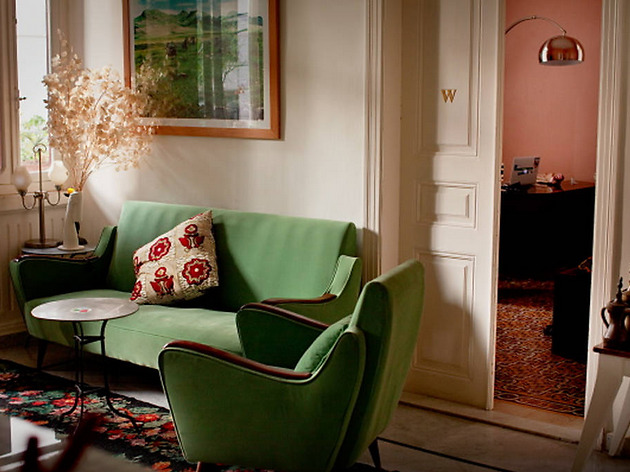 Jump into the tiny Art Deco lift and take yourself to the rooftop terrace where calm reigns and lush leaves sway, oblivious to the rhythms of the city. 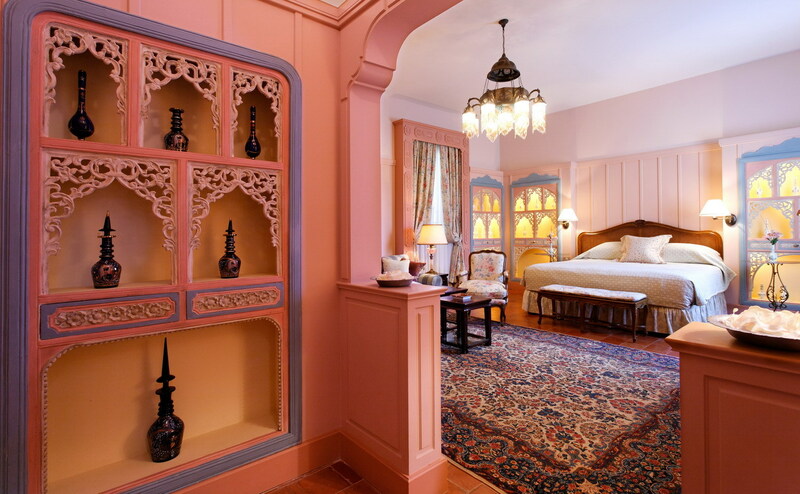 Meticulously decorated suites each have their own distinct character, making sure Albergo gets boutique down to a tee. Baffa House feels like home. Doted on by the same family that has owned it for generations, the place is redolent of old Lebanon, but with a fresh twist. 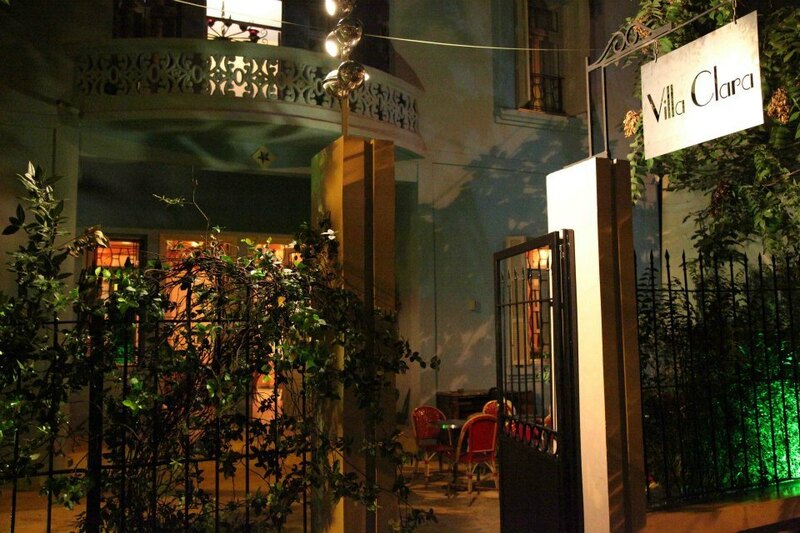 Set back on a street at the edge of Mar Mikhael, the house exudes calm and comfort. 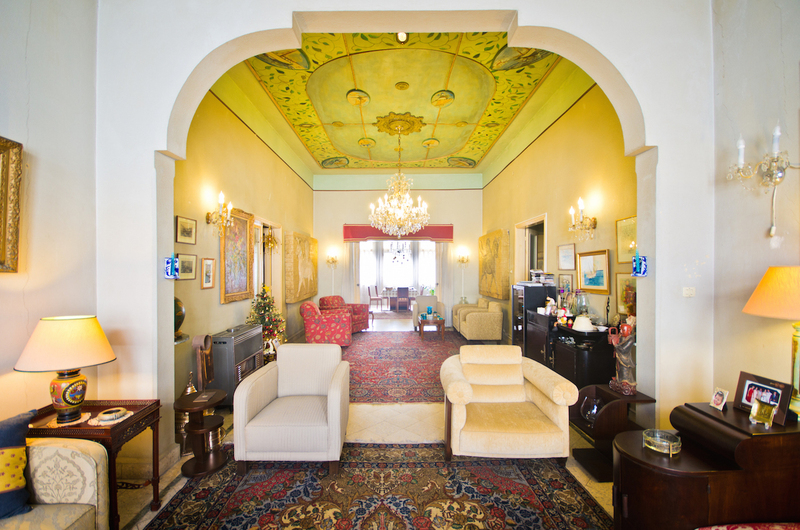 Local art adorns the walls (as well as a few photos of the family), and the intimacy of the place – just four rooms! 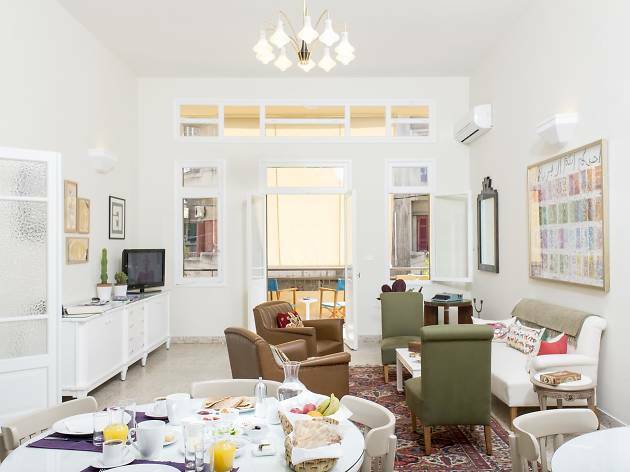 – makes it the perfect choice for a cosy stay in Beirut. The breakfast prepared by the owner’s mum is the icing on the cake. 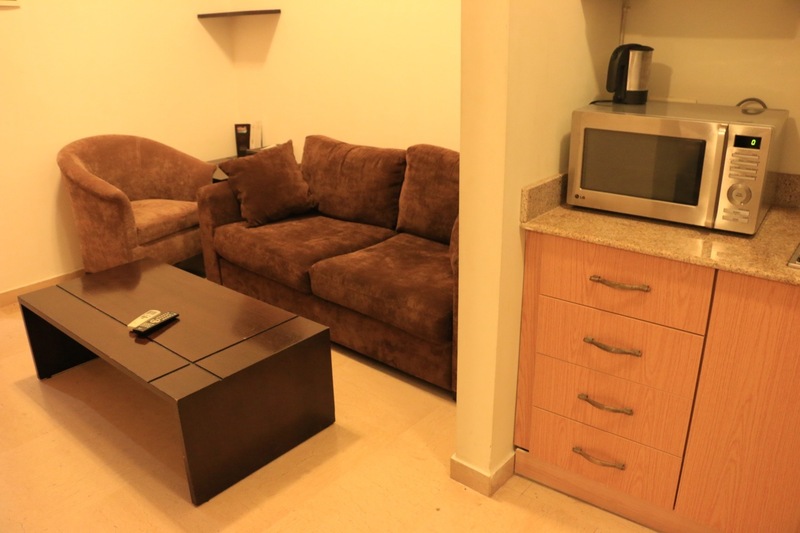 The Bliss 3000 apartments are not only ideally located in the heart of Hamra, but are also clean and comfortable, and come with features not usually found in budget accommodation. They may push the upper limits of a shoestring budget, but they're well worth the extra expense. 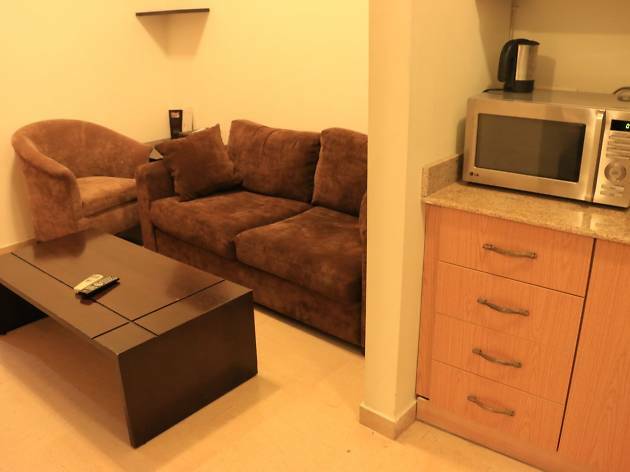 Mainly catering to long-term AUB students, the rooms feature huge beds, flat-screen TVs and kitchens, and the building has an onsite café and gym with its own swimming pool ($12 extra per day). 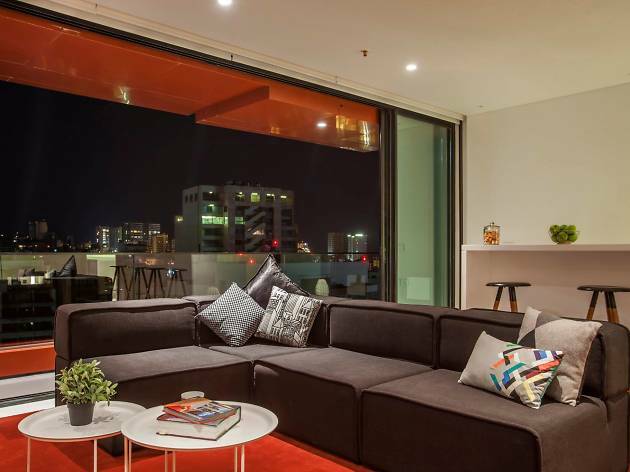 If it’s mod cons and a modest luxury you’re after, these apartments are a steal. Long stays are also possible. 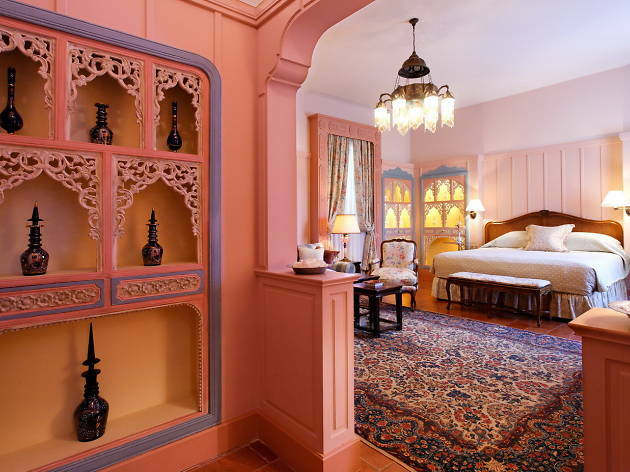 Beautifully decorated, centrally located and oozing style and charm, Dar Al Achrafieh, a self-proclaimed ‘living piece of the city’s memory’, is the perfect choice for an intimate encounter with a city looking to its past to define its present. 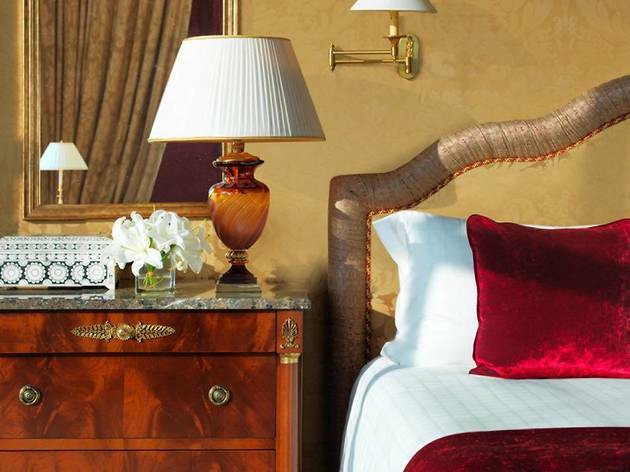 Painted ceilings and Art Deco furnishings are the order of the day here. They’re styled by attentive, down-to-earth host Jamil, a man enamoured of fabrics, textiles and their embellishments. He puts his heart into the establishment, offering a warm and familiar base from which to explore an often chaotic city. Iconic, striking and decidedly modern, the 26-floor Four Seasons Hotel exerts a powerful presence over the Beirut skyline. Elegant decor (courtesy of Pierre-Yves Rochon) illuminates terraced rooms with floor-to-ceiling windows, which ensure that the guests aren't deprived of the view. Secure in its own sophistication, the hotel features a (self-described) 'see-and-be-seen' rooftop lounge, complete with a pool, a luxurious spa and a wealth of refreshment options, from The Grill Room’s steaks to The Boulevard’s cocktails and coffee. 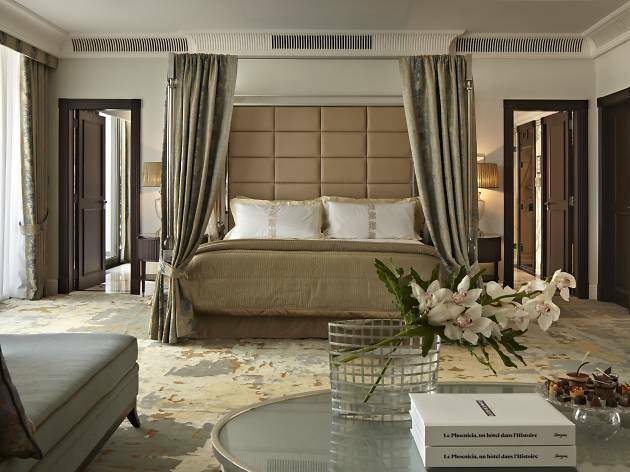 This landmark hotel is at the vanguard of Beirut’s renaissance and an unmissable site on the city's luxury circuit. 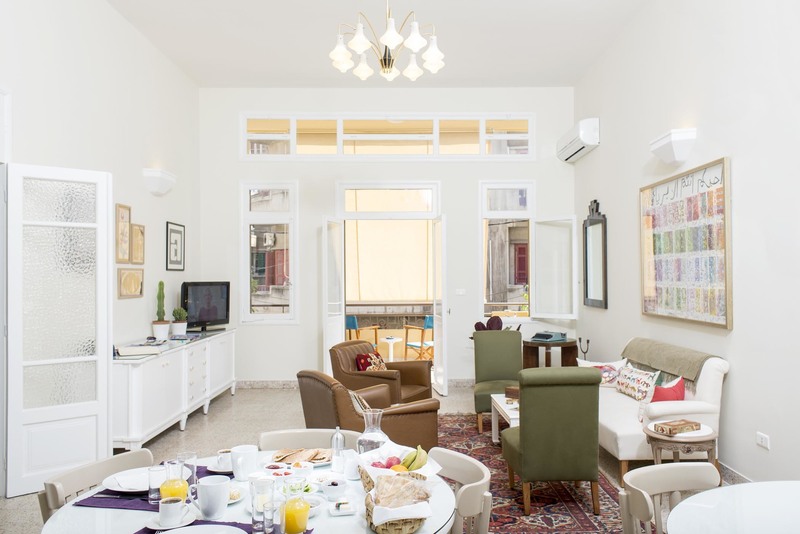 For a characterful stay in Achrafieh, the warm and welcoming Hayete, one of Beirut’s first guest houses, is well worth a visit. 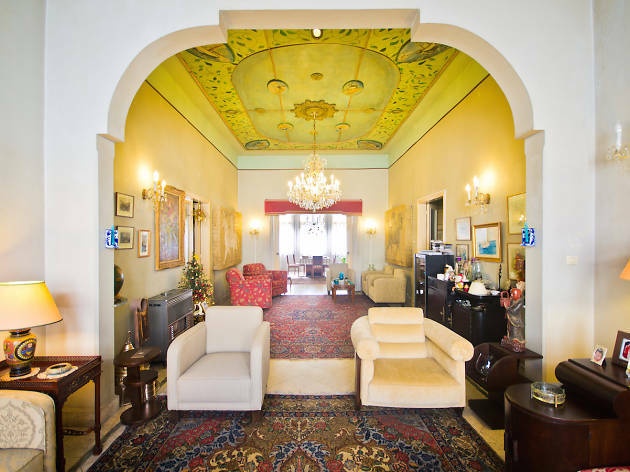 Named after the Levantine Arabic word for ‘my darling’, this traditional 20th-century house is poised to become your second home in Lebanon. Mixing traditional Lebanese architecture with art nouveau design, Hayete has the right amount of style and individuality to pique the interests of those of a creative persuasion, while its small size and communal balcony make for an environment of genuine friendliness and warmth. Cross the threshold of the Phoenicia and walk into the world of ‘60s Lebanese luxe, when luxury ruled and the country was starting to be described as the Switzerland of the Middle East. 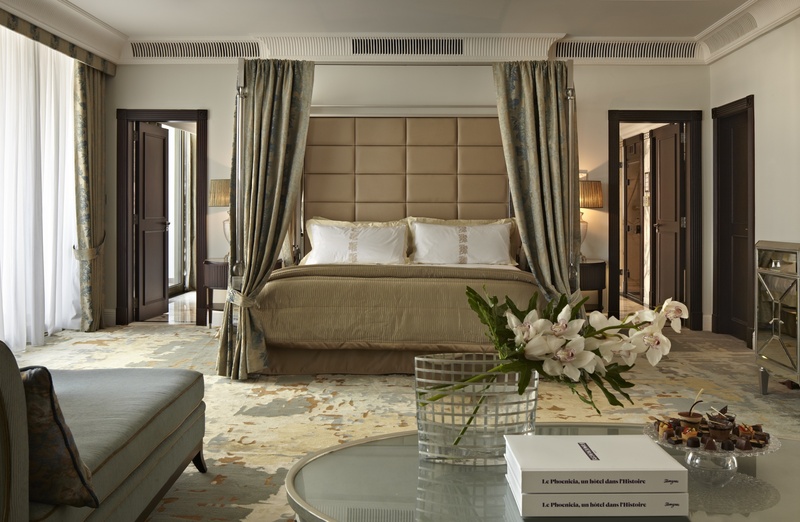 Fast forward a few decades, and while Lebanon may not have delivered on its promise of opulence, the InterContinental Phoenicia still reigns supreme. 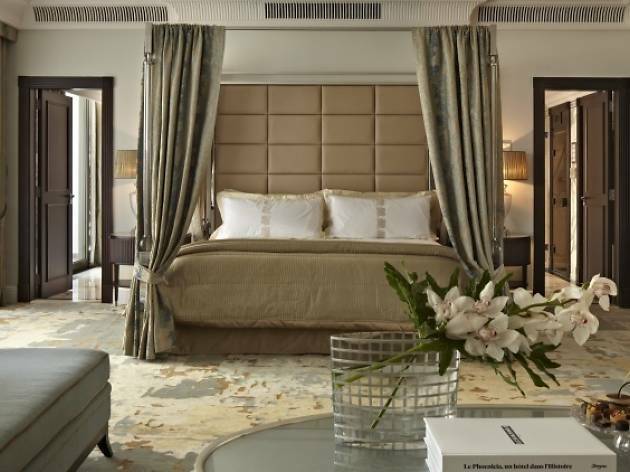 Chandeliers shimmer, fountains pour, marble gleams and staff attend to your every need at Beirut’s 'Grande Dame', situated in one the city’s most desirable areas looking right over Zaitunay Bay. 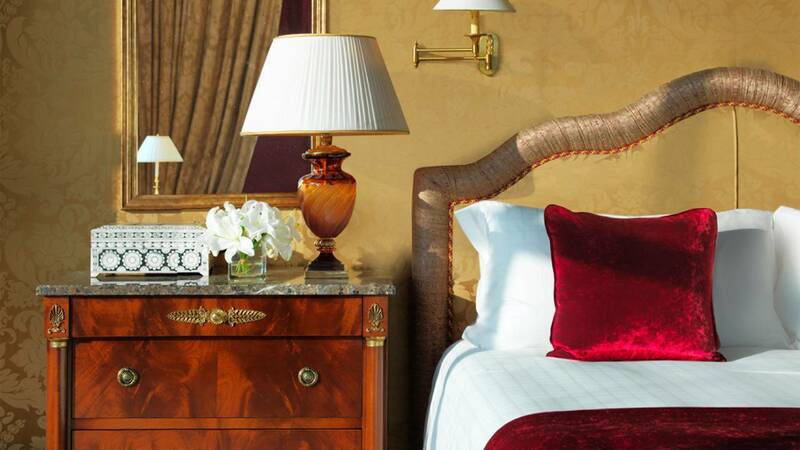 With rooms fit for the jet set and an internationally recognised art collection, you’re sure to be amazed at Phoenicia’s majesty. 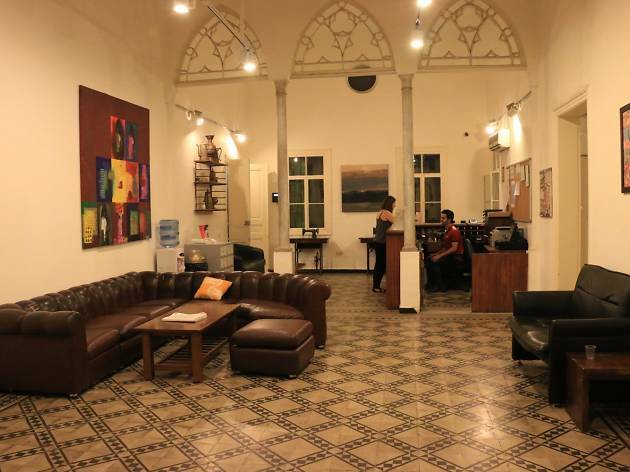 Le Commodore, situated on Baalbek Street in Hamra, is the legendary hotel that housed foreign journalists during the civil war. 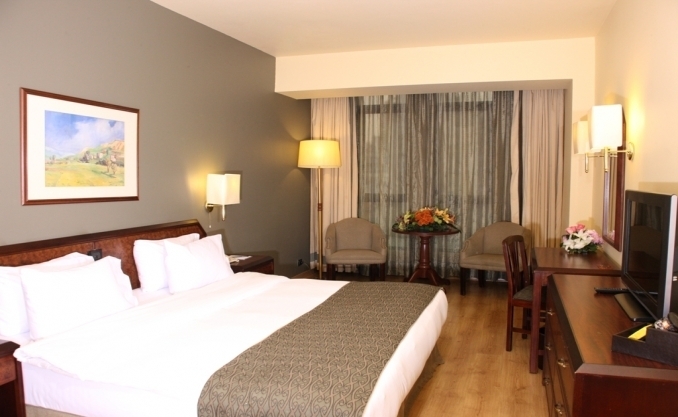 What was once the site of chaos is now a comfortable and attractive hotel with decent rooms and a great location. 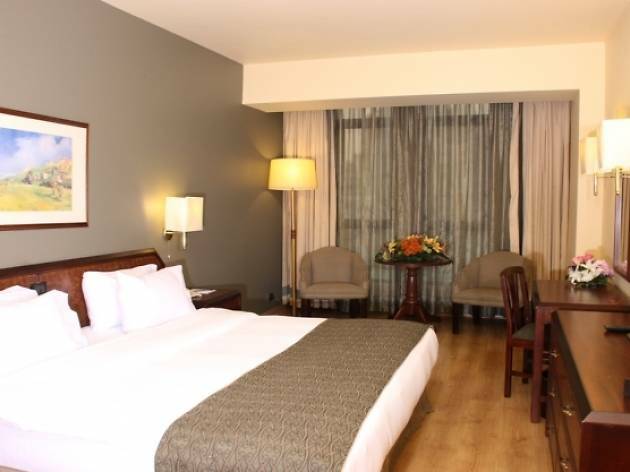 The staff are very friendly, and the hotel stand out from others in the price range thanks to the lovely outdoor swimming pool, which gives sun-worshippers the opportunity to bask in the middle of the city. 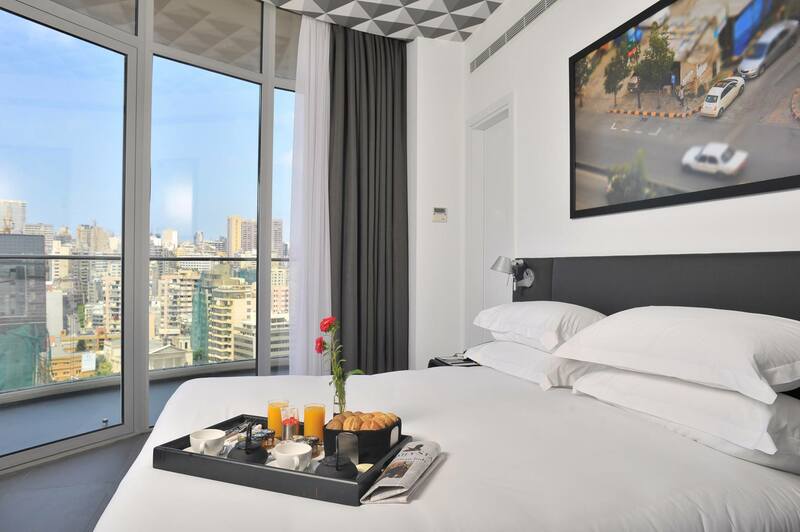 Situated slap-bang in the most happening part of Downtown, right by Samir Kassir Square, Le Gray is the hotel of choice for those after contemporary cool and minimalist chic. 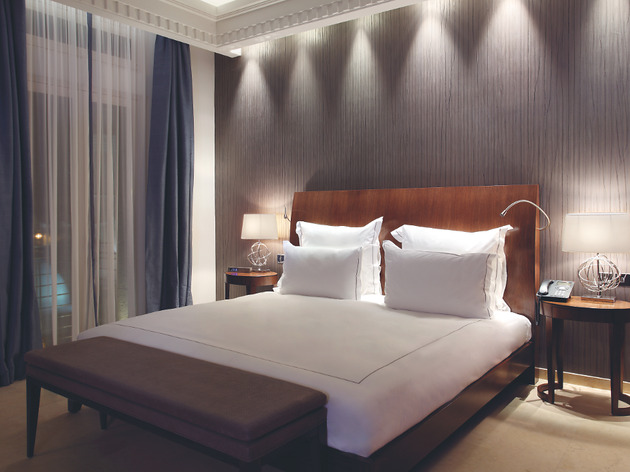 Rooms are spruced up with the latest technology and a strikingly modern design, supplemented by cutting-edge art from the Ayyam Gallery. 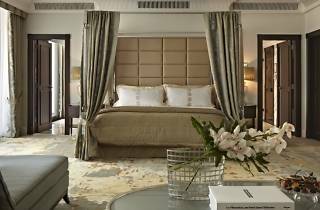 The suites are only a part of it: Le Gray also graces its guests with impeccable service and a sensual spa, not to mention panoramic views of the Mediterranean, the city and Mount Lebanon from its numerous outdoor gardens. Make sure to check out its terrace lounges, including local favourite Cherry on the Rooftop and the appropriately named Bar Three Sixty. Searching for five-star luxury but don’t want to miss out on the sparkling seas of the Mediterranean? 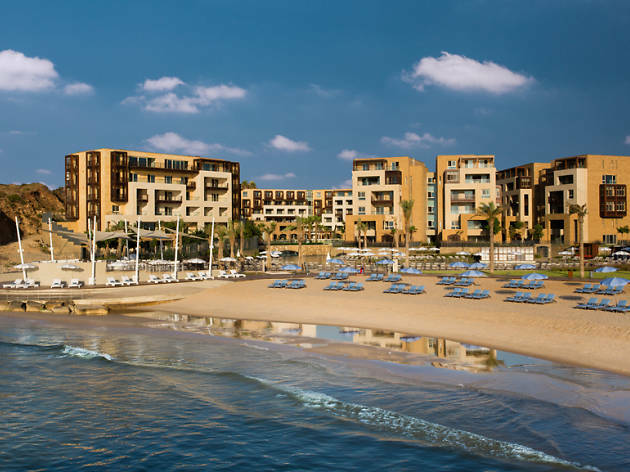 Look no further than the Mövenpick Hotel, a luxurious resort in Beirut’s Raouche area, featuring four indoor and outdoor pools, five restaurants and an expansive spa. It’s a world away from the bustle of city life – a haven of beach glamour. Rooms are modern, and come with views of the sea, city or courtyard. Don’t forget to feast on a traditional meal of Lebanese mezze in the Burj Al Hamam restaurant, then wind down in the ultra-chilled Hemingway’s Bar and Cigar Lounge. Saifi is a self-described 'urban cultural center', cloaked in greenery and graffiti, tucked away on a large site just off Pasteur Street. 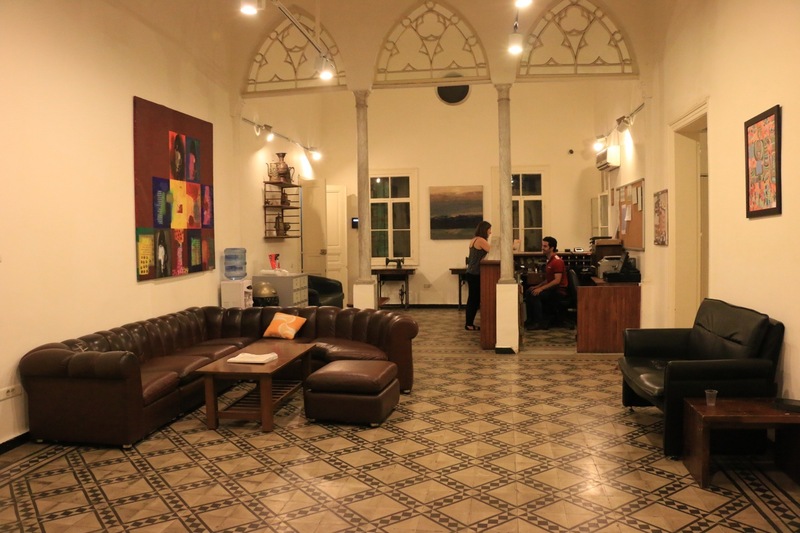 Not content just to be a hostel, Saifi is a hotspot on the Beirut social scene, and a place where tourists and locals alike come to unwind. Laid back café-bar Cafe Em Nazih, immersed in the aroma of argileh, provides staples of Lebanese cuisine at great prices, as well as the likes of Batroun-brewed beer Colonel and local favourite arak, whilst the Coop d’Etat rooftop bar is a great place to relax and take in the sights and sounds of an ever-bustling city. The gender-separated dorms are what you would expect from a hostel; they start from $16 a night, whilst a private will set you back $50. 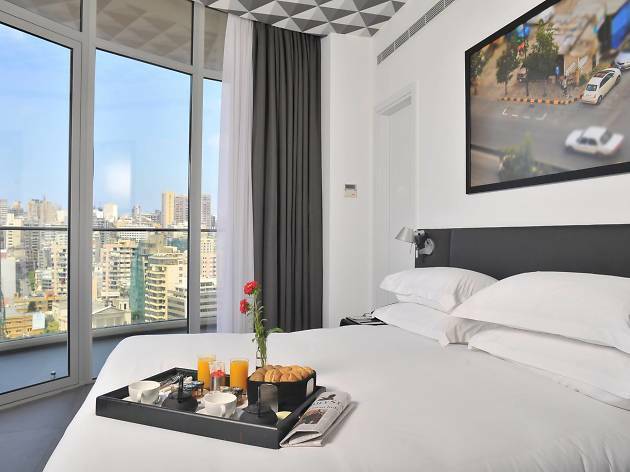 If you are looking for somewhere slick and youthful to rest your head, the brand new Smallville Hotel in the city’s bohemian Badaro district offers glossy and functional rooms with big flat-screen TVs and fun touches aplenty. An impressive top-floor pool and so-called Superhero Gym (not the best description of how we felt after our session on the treadmill) round out the range of facilities. And its location next to the impressive Beirut National Museum is within 20 minutes walk of pretty much everywhere you’d want to visit.